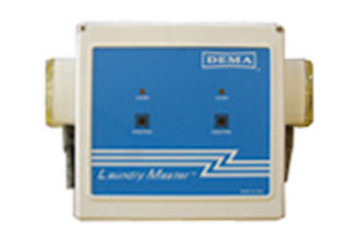 Laundry Master Chemical Dispensers are designed to dispense 1, 2 or 3 products into laundry machines. Easily Pumps soaps, bleach, etc. into coin-operated or manual machines.Peristaltic pumps are triggered by a signal from the machine or by the manual start button. Rates up to 10 oz. per minute mean a consistent mixture every time. One dispenser can feed up to two machines. ABS plastic enclosure features water-tight seal.